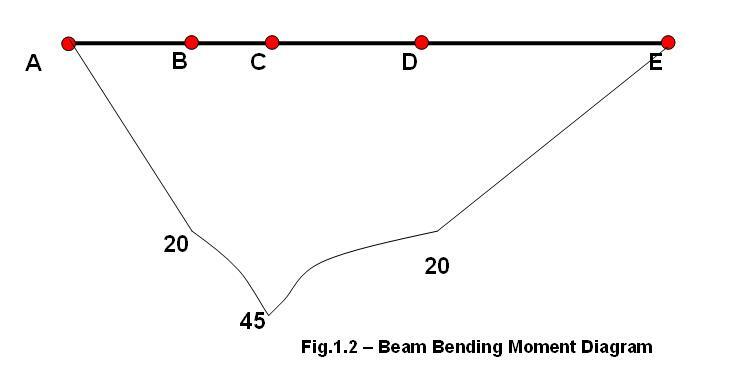 This article will clear your concepts of bending moment diagrams (BMD). You will know the important five steps required for how to calculate and draw bending moment diagram. These reaction forces will be useful for calculating the bending moments at different points on the beam. Step-2: Sign Convention: The bending moment, which will cause “sagging” to the beam, will be considered positive and the bending moment, which cause “hogging” to the beam, will be considered negative. We will consider this sign convention for the rest of this article. In the above BMD you might have observed for the point load bending moment diagram is a straight line and for UDL bending moment is a curve. But how to decide whether the curve should be a convex or concave one? We will discuss in the next article. how to solve the diagrams with a beam having three loads, plus the weight of the beam? is the weight of the beam treated as a distributed load? The weight of the beam can either to be applied at the CG of the beam or, as you rightly said, as a distributed load. To calculate bending stress values. To get more accurate bending stress values you can always use the FEA tools. 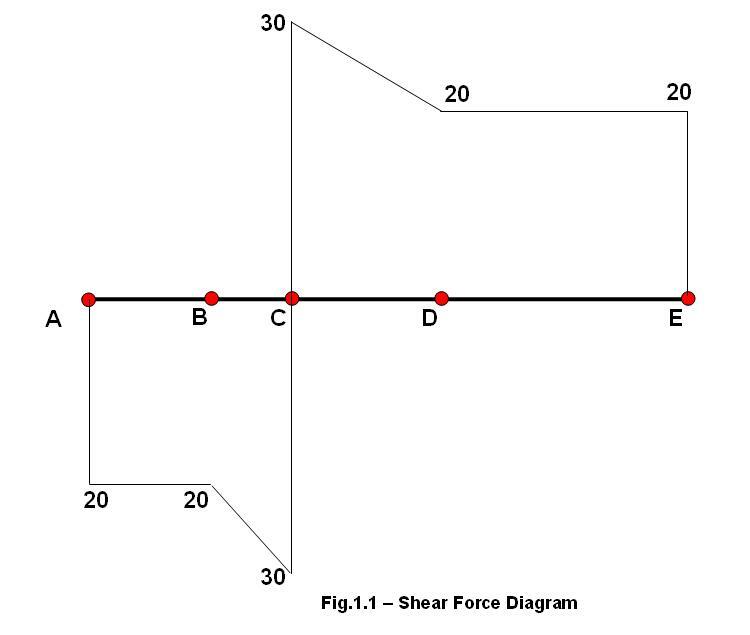 Visit http://civilengineer.webinfolist.com/mech/bmcalc.htm for Online calculation of Bending moment and shear force due to different loading cases. Thank you for stopping by. That’s a good suggestion, i will definitely incorporate that. Where does the “0.5” come from at point C? Wouldn’t it just be -(20*1+1) – (10*1) = -50KNm? The “0.5” is because of the fact that the “resultant of the distributed loads”, which is, as you know, will be at the centre of the spread of the loads. sir what are 2nd degree and 3rd degree parabolic curves? Why they are used for only for UDL and UVL in BMD and SFD? Thank you MechGuru. Did you ever answer Mettyreev’s comment about the determination of the 0.5 at point C? thank u very much SIR…. thank you very very much, I got it…………. The bending moment is wrong!!! Design a fixed beam with 5kNm UDL and point loads 20kN and 30kN acting L/3 distance. span is 9m.? For what moment shud we design? and how to arrive at that moment in fixed beam? udl of 5kN/m all through the span. Design a beam. Can u plz help in arriving design moment? So do I should apply right hand rule for that left force ? i want to learn basics of beams and applied loads concepts….plese provide me some link to learn all of these …. Isn’t it usually positive for anticlockwise moment and negative for clockwise moment? So why is the downward force of 20 kn producing positive moment?